Abstract: Positive output elementary Luo converters perform the conversion from positive DC input voltage to positive DC output voltage. Since Luo converters are non-linear and time-variant systems, the design of high performance controllers for such converters is a challenging issue. The controllers should ensure system stability in any operating condition and good static and dynamic performances in terms of rejection of supply disturbances and load changes. To ensure that the controllers work well in large signal conditions and to enhance their dynamic responses, soft computing techniques such as Fuzzy Logic Controller (FLC) and Genetic Algorithm based FLC (GA-FLC) are suggested. Fuzzy logic is expressed by means of the human language. A fuzzy controller converts a linguistic control strategy into an automatic control strategy and fuzzy rules are constructed by expert experience or knowledge database. Genetic Algorithm is a powerful optimizing tool that is based on the mechanism of natural selection and natural genetics. Since fuzzy parameters are obtained by trial and error method, Genetic Algorithm can be used to optimize the fuzzy rules, membership functions and scaling gains thereby improving the performance of the Luo converter. In order to test the robustness of the designed GA-Fuzzy and Fuzzy based Luo converter, the controllers and converter have been modeled using Matlab – Simulink software. From the simulation results, it is seen that GA- FLC gives fast response, good transient performance and robustness to variations in line and load disturbances. Performance comparison show improvement of transient responses in terms of settling time, peak overshoot and ISE in the GA-Fuzzy than FLC for Luo converter. Index Terms: Fuzzy Logic controller, Genetic Algorithm, Luo Converter, Membership function. F. L. and Hong Ye. , Advanced DC/DC Converters, First edition, CRC Press, LLC, London, 2014. Nemat Changizi1, MahbubehMoghadas, MohamadrezaDastranj and Mohsen Farshad, (2012), Design a Fuzzy Logic Based Speed Controller for DC Motor with Genetic Algorithm Optimization, Applied Mechanics and Materials, Vol. 110-116, pp.2324-23330. Amin Chegeni, AbdollahKhoei, KhayrollahHadidi, (2007), Improved Genetic Algorithm-Based Optimization of Fuzzy Logic Controllers, Intelligent Systems S Scientific Society of Iran, Vol. Ghoshal S.P and Goswami S.K, (2003), Application of GA based optimal integral gains in fuzzy based active power-frequency control of non-reheat and reheat thermal generating systems, Electric Power Systems Research, Vol. 67, pp.79-88. Hemalatha, C. MridulPandey, Amit Kumar Sinha and SrijitaSingha Roy (2016), GA Based Fuzzy Logic Controller for A Pressure Process Station, International journal of latest Trends in Engineering and Technology, Vol. 6(3), pp. 310-317. Luo,F.L. (1997), Luo Converters: New DC-DC step-up Converters, Proceedings ofIEEE international Symposium on Integrated Circuit-97, Singapore, Vol.2, Jun., pp. 227-230. Sheroz Khan, Salami Femi Abdulazeez, LawalWahabAdetunji, AHM ZahirulAlam, Momoh Jimoh E. Salami, Shihab Ahmed Hameed, Aisha HasanAbdalla and MohdRafiqul Islam, (2008), Design and Implementation of an Optimal Fuzzy Logic Controller Using Genetic Algorithm Journal of Computer Science, Vol. 4(10), pp. 799-806. Abstract: Computer networks, and in particular the Internet, have significantly evolved in relation to their beginnings. The number of users is constantly increasing, there are more and more mobile and wireless users, the quantity and type of traffic being transmitted is no longer the same, the way the storage and provision of content changes, etc. Traditional network architecture has not been made to meet the demands placed before it by the traffic that travels through the networks today, which significantly complicates the process of managing these networks. Software defined networks provide the opportunity to make the most of the architecture tailored according to the behavior and expectations of today's users as well as content and services providers by simplifying network management, expanding the range of opportunities and fostering innovation. Keywords: computer networks, computer network management, network architecture. Ding, “Advances in Network Management,” Taylor&Francis Group LLC, 2010.g. , pp. 43. Kreutz et al., “Software-defined networking: A comprehensive survey”, Proceedings of the IEEE, vol. 103, issue 1, pp. 14-76, January 2015. Feamster , J. Rexford, and E. Zegura, “The road to SDN,” in ACM SIGCOMM Computer Communication Review, Volume 44 Issue 2, pp. 87-98, April 2014. Tennenhouse, J. Smith, D. Sincoskie, D. Wetherall, and G. Minden,,”A survey of active network research,” IEEE Communications Magazine, vol. 35, issue: 1, pp. 80 - 86, January 1997. Wright and W. Stevens, “TCP/IP illustrated,” vol. 2, chapter 20, June 1995. [S. Jain et al., “B4: Experience with a globally-deployed software defined WAN,” in SIGCOMM '13 Proceedings of the ACM SIGCOMM 2013 conference on SIGCOMM, pp. 3-14, Hong Kong, China, August 2013. Feamster, H. Balakrishnan, J. Rexford, A. Shaikh, and J. van der Merwe, “The case for separating routing from routers,” in FDNA '04 Proceedings of the ACM SIGCOMM workshop on Future directions in network architecture, pp. 5-12, Portland, Oregon, USA, August 2004. Caesar et al., “Design and implementation of a routing control platform,” in NSDI'05 Proceedings of the 2nd conference on Symposium on Networked Systems Design & Implementation, vol. 2, pp. 15-28, May 2005. E. Rothenberg et al., “Revisiting routing control platforms with the eyes and muscles of software-defined networking,” in HotSDN '12 Proceedings of the first workshop on Hot topics in software defined networks, pp. 13-18, Helsinki, Finland, August 2012. Greenberg et al., “A clean slate 4D approach to network control and management,” in ACM SIGCOMM Computer Communication Review Homepage archive, vol. 35, issue 5, pp. 41-54, October 2005. Martìn Casado et al., “Ethane: Taking control of the enterprise,” in SIGCOMM '07 Proceedings of the 2007 conference on Applications, technologies, architectures, and protocols for computer communications, pp 1-12, Kyoto, Japan, August 2007. Casado et al., “SANE: A protection architecture for enterprise Networks”, in USENIX-SS'06 Proceedings of the 15th conference on USENIX Security Symposium, vol. 15, Article No. 10, Vancouver, B.C., Canada, July 31 - August 04, 2006. Xia, Y.,Wen, Y., C.H. Foh, D. Niyato, and H. Xie, “A survey on software-defined networking,” IEEE Commununication Surveys & Tutorials, vol. 17, issue: 1, pp. 27-51, June 2014. Gude et al., “NOX: Towards an Operating System for Networks”, in ACM SIGCOMM Computer Communication Review, vol. 38, issue 3, pp. 105-110, July 2008. Medved, R. Varga, A. Tkacik, and K. Gray, “Opendaylight: Towards a model-driven sdn controller architecture,” in IEEE 15th International Symposium on World of Wireless, Mobile and Multimedia Networks WoW-MoM, pp. 1-6, October 2014. Koponen et al., “Onix: A Distributed Control Platform for Large-scale Production Networks,” in OSDI'10 Proceedings of the 9th USENIX conference on Operating systems design and implementation, pp. 351-364, Vancouver, BC, Canada, October 2010. Songa, Y. Liua, C. Liua, and D. Qian., “ParaFlow: Fine-grained parallel SDN controller for large-scale networks,” Journal of Network and Computer Applications, vol. 87, issue C, pp. 46-59, June 2017. Heller et. al, “ElasticTree: Saving energy in data center networks,” in NSDI'10 Proceedings of the 7th USENIX conference on Networked systems design and implementation, pp. 17, San Jose, California, April 2010. Duan, Q., “Network-as-a-service in software-defined networks for end-to-end qos provisioning,” in Wireless and Optical Communication Conference (WOCC), pp. 1–5, May 2014. Tavakoli, M. Casado, T. Koponen, and S. Shenker, “Applying NOX to the datacenter,” in Proceedings of the 8th ACM Workshop on Hot Topics in Networks, pp, 1-6, New York City, New York, 2009. Curtis et al., “DevoFlow: Scaling flow management for high-performance networks,” in SIGCOMM '11 Proceedings of the ACM SIGCOMM 2011 conference, pp. 254-265, Toronto, Ontario, Canada, August 2011. Benson, A. Akella, and D. A. Maltz, “Network traffic characteristics of data centers in the wild,” in IMC '10 Proceedings of the 10th ACM SIGCOMM conference on Internet measurement, pp. 267-280, Melbourne, Australia, November 2010. Phemius, M. Bouet, and J. Leguay, “Disco: Distributed multi-domain sdn controllers,” in Network Operations and Management Symposium (NOMS) IEEE, pp. 1-4, June 2014. Benamrane, M. Ben Mamoun, and R. Benaini, “An East-West interface for distributed SDN control plane: Implementation and evaluation,” Computers and Electrical Engineering, vol. 57, issue C, pp. 162-175, January 2017. Tootoonchian and Y. Ganjali, “HyperFlow: A distributed control plane for OpenFlow,” in INM/WREN'10 Proceedings of the 2010 internet network management conference on Research on enterprise networking, pp. 3-3, San Jose, California, 2010. H. Yaganeh, A. Tootoonchian, and Y. Ganjali, “On the scalability of software-defined networking,” IEEE Communications Magazine, vol. 51, issue: 2, pp. 136-141, February 2013. Vissicchio, L. Vanbever, and J. Rexford, “Sweet little lies: Fake topologies for flexible routing,” in HotNets-XIII Proceedings of the 13th ACM Workshop on Hot Topics in Networks, pp. 3, Los Angeles, CA, USA, October 2014. Vissicchio, O. Tilmans, L. Vanbever, and J. Rexford, “Central control over distributed routing,” in SIGCOMM '15 Proceedings of the 2015 ACM Conference on Special Interest Group on Data Communication, pp. 43-56, London, United Kingdom, August 2015. Vissicchio, L. Vanbever, and O. Bonaventure, “Opportunities and research challenges of hybrid software defined networks,” ACM SIGCOMM CCR, vol. 44, no. 2, pp. 70-75, 2014. Casado, T. Koponen, S. Shenker, and A. Tootoonchian, “Fabric: A retrospective on evolving SDN,” in HotSDN '12 Proceedings of the first workshop on Hot topics in software defined networks, pp. 85-90, Helsinki, Finland, August 2012. K. Yap et al., “OpenRoads: Empowering research in mobile networks,” in Newsletter ACM SIGCOMM Computer Communication Review, vol. 40, issue 1, pp. 125-126, January 2010. Moyano, D. Cambronero, and L. Triana, “A user-centric SDN management architecture for NFV-based residential networks,” Computer Standards & Interfaces, vol. 54, issue P4, pp. 279-292, in press. Wang, Y. Miaob, P. Zhoub, M. S. Hossainc, and Sk Md M. Rahmand, “A software defined network routing in wireless multihop network,” Journal of Network and Computer Applications, vol. 85, issue C, pp. 76-83, May 2017. Hu, W. Han, G.-J. Ahn, and Z. Zhao, “FlowGuard: Building Robust Firewalls for Software-defined Networks,” in HotSDN '14 Proceedings of the third workshop on Hot topics in software defined networking, pp. 97-102, Chicago, Illinois, USA, August 2014. Abstract: Production and loss prediction play an important role in the effective planning and operation of solar photovoltaic systems. The performance of a solar PV system depends on the geographical location, system design, horizon and orientation of the solar panels in a given system. Professionals can use a variety of forecasting tools to effectively plan and predict grid connections and standalone solar PV systems. In this paper, we have developed an equivalent mathematical model for 1MWp grid-connected solar PV systems that have been developed and installed for Jaipur. With the help of the PV Syst design tool, performance parameters, yield and loss have been predicted for the equivalent model. Monthly earnings and losses as well as annual gains and losses have been synthesized. For the performance evaluation of the forecast data, we compared the techno economic simulation for different manufacturing technologies. Thin film, Ploy Crystalline and Mono Crystalline based systems have been developed. Predicted data can be used as an important tool for analyzing location and seasonal specific losses. Conducted research will be helpful in calculating area specific impact on selection of manufacturing technology of panels as well as its impact on active area of installed system. S. Morshed, S. M. Ankon, M. T. H. Chowdhury and M. A. Rahman, "Designing of a 2kW stand-alone PV system in Bangladesh using PVsyst, Homer and SolarMAT,"Green Energy and Technology (ICGET), 2015 3rd International Conference on, Dhaka, 2015, pp. 1-6. C. Ozerdem, S. Tackie and S. Biricik, "Performance evaluation of Serhatkoy (1.2 MW) PV power plant," 2015 9th International Conference on Electrical and Electronics Engineering (ELECO), Bursa, 2015, pp. 398-402. Kaundinya, D. P., Balachandra, P. & Ravindranath, N. H. (2009). Grid-connectedversus stand-alone energy systems for decentralized power—A review ofliterature. Renewable and Sustainable Energy Reviews, 13 (8): 2041-2050. Dong, J. Huang, M. Ding, H. Li and S. Zhang, "Performance test and evaluation of photovoltaic system," International Conference on Renewable Power Generation (RPG 2015), Beijing, 2015, pp. 1-4. (2014). Renewables 2014 Global Status Report. In Secretariat, R. (ed.).Paris. Yadav, N. Kumar and S. S. Chandel, "Simulation and performance analysis of a 1kWp photovoltaic system using PVsyst," Computation of Power, Energy Information and Commuincation (ICCPEIC), 2015 pp. 0358-0363. Irwanto, Y. M. Irwan, I. Safwati, W. Z. Leow and N. Gomesh, "Analysis simulation of the photovoltaic output performance," Power Engineering and Optimization Conference (PEOCO), 2014 IEEE 8th International, Langkawi, 2014, pp. 477-481. H. Fatehi and K. J. Sauer, "Modeling the incidence angle dependence of photovoltaic modules in PVsyst," 2014 IEEE 40th Photovoltaic Specialist Conference (PVSC), Denver, CO, 2014, pp. 1335-1338. Abstract: Volatility Forecasting is an interesting and challenging problem in current financial instruments. There are many financial risks and rewards directly associated with volatility. Hence forecasting volatility becomes the most discussed topic in finance. In this research we apply various univariate conditional heteroskedasticity models for forecasting volatility. The various extensions of the standard Generalized ARCH models such as SGarch, CSGarch, Egarch, IGarch and GJRGarch are used for forecasting. Volatility values are forecasted for 10 days in advance and values are compared with the actual values. Mean square error is computed between Garch forecast and actual values for the 10 days. The model with lowest MSE values over 10 forecasted periods is selected as the best performing model. The forecasted results for 10 days show that GJRGarch ranks top in the accuracy of forecasting and IGarch at the bottom. GJRGarch outperforms all other univariate ARCH models. Marius Matei, “Assessing Volatility Forecasting Models: Why Garch Models Take the Lead”, Romanian Journal of Economic Forecastin, pp. 42-69, 2009. Ghulam Ali, “EGARCH, GJR-GARCH, TGARCH, AVGARCH, NGARCH, IGARCH and APARCH Models for Pathogens at Marine Recreational Sites”, Journal of Statistical and Econometric Methods, vol. 2, no.3, 2013, 57-73. Jean-Philippe Peters, “Estimating and Forecasting Volatility of Stock Indices using Asymmetric GARCH Models And (Skewed) Student-T Densities” , 2001. Peter R. Hansen et al. “Forecast Comparison of Volatility Models: Does Anything Beat A Garch(1,1)”, Journal Of Applied Econometrics, vol. 20, pp. 873–889, 2005. Pengfei Sun, “Diagnosing the Distribution of GARCH Innovations”, Online Journal, 2013. 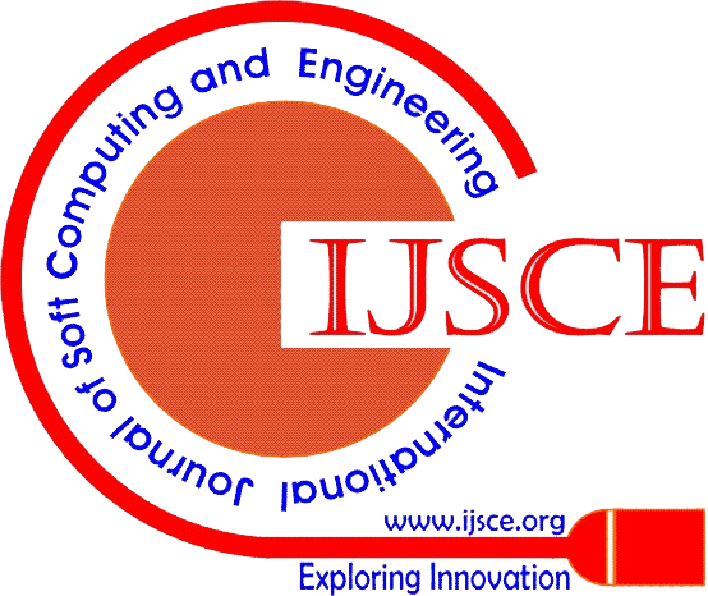 Hemanth Kumar P, “Volatility Forecasting - A Performance Measure Of Garch Techniques With Different Distribution Models”, International Journal of Soft Computing, Mathematics and Control (IJSCMC), vol. 5, August 2016. Hemanth Kumar P, “ Volatility Forecasting using Machine Learning and Time Series Techniques”, International Journal of Innovative Research in Computer and Communication Engineering, vol. 3, issue 9, September 2015. Rob Reider, “Volatility Forecasting I: GARCH Models”, 2009. David Ardiaa, LennartHoogerheideb, “GARCH Models for Daily Stock Returns: Impact of Estimation Frequency on Value-at-Risk and Expected Shortfall Forecasts”, Tinbergen Institute Discussion Paper, Vol 3, pp. 47, 2013. Hemanth Kumar P, “Neuro Fuzzy based Techniques for Predicting Stock Trends”, International Journal of Computer Science Issues, Vol. 9, Issue 4, No 3, July 2012. Jin-ChuanDuan, “The Garch Option Pricing Model”, Mathematical Finance, Vol 5, No 1, pp. 13-32, 1992. Da Huang, Hansheng Wang And Qiwei Yao, “Estimating GARCH models: when to use what?”Econometrics Journal, Vol 11, pp. 27–38, 2008. Ivo Jánský and Milan Rippel, “Value at Risk forecasting with the ARMA-GARCH family of models in times of increased volatility”, Institute of Economic Studies, Faculty of Social Sciences Charles University in Prague, 2007. Christian Schittenkopf, Georg Dorffner and Engelbert J. Dockner, “Forecasting Time-dependent Conditional Densities: A Semi-nonparametric Neural Network Approach, Journal of Forecasting, Vol 8, pp. 244-263, 1996. Abstract: Mobile and smart computing devices have become ubiquitous and the preferred computing device for their daily tasks and business activities. Despite the phenomenal increase in the computational power of these devices, they still are unable to cope with the exceptionally high demand for resources by current applications. It has been suggested that, resource demanding applications and intensive computations from mobile devices should be offloaded to other systems with higher resource capacities in the cloud. Mobile cloud computing is a form of cloud computing that seeks to enhance the capacity and capabilities of mobile and smart computing devices by enabling mobile devices to offload some computational tasks to the cloud for processing. The study also presented an energy model for computation offloading. Keywords: Cloud Computing, Mobile Cloud Computing, Computation Offloading. Arockiam L., Monikandan S., Parthasarathy G., (2011) “Cloud Computing: A Survey” International Journal of Internet Computing (IJIC), ISSN No: 2231 – 6965, Vol1, Issue-2. Conley et. al (2015), "Achieving Cost-Efficient, Data-intensive Computing in the Cloud", Association of Computing Machinery (ACM), 2015. Dudeja, M. & Soni, K., (2014), "Offloading Schemes in Mobile Cloud", International Journal of Computer Applications, Vol 96, No. 8. Fangming, L., et. al, (2013), "Gearing Resource-Poor Mobile Devices with Powerful Clouds: Architectures, Challenges and Applications", IEEE, Wireless Communications. Juntunen, A., et. al, (2012), "Mobile Computation Offloading - Factors Affecting Technology Evolution", Proceedings of 11th ICMB. Kovachev, D. & Klamma, R. (2012), "Framework for Computation Offloading in Mobile Cloud Computing", Department of Information Systems and Databases, RWTH Aachen University. Khan, R. A., et. al, (2014), "A survey of mobile cloud computing application models", IEEE Communications Survey. Orsini, G., et. al, (2015), "Context-Aware computation offloading for mobile cloud computing: Requirement Analysis, Survey and Design Guideline", 12th International Conference on Mobile Systems and Pervasive Computing, MobiSPC 2015. Srinivasa, R. V., Nageswara, R. N. K., and Ekusuma K. (2009) “Cloud Computing: An Overview” Journal of Theoretical and Applied Information Technology. Shravanthi, C. & Guruprasad, H.S., (2014), "Mobile Cloud Computing as Future for Mobile Applications", International Journal of Research in Engineering and Technology. Wolski, S., et. al, (2008), "Using Bandwidth data to make computation offloading decisions", Proceedings of IEEE, IPDPS, pp. 1-8.